Hardwood floors are desired for their elegance, warmth, health benefits, and value. Creating your hardwood floors, whether installing new or refinishing existing floors, is an opportunity to bring style into your home. • We have available an assortment of hardwood flooring products to help you achieve the style you want within the budget you have set. • We will work with you to select the best finish products to maximize the characteristics of your wood while providing the look and durability you desire. • We take pride in what we do and set our standards high. You will be able to see this in our quality work. Satisfyingly simple. In the cluttered world of flooring, Fluent Floors simplifies your selection by offering only the most popular products at the best prices. Global Hardwood Floors are dedicated and committed to giving you the very best in quality hardwood flooring on the market today. Our specialty is Hand scraping, circle sawn and band sawn floors giving your home the look of distressed wood that’s full of character. Many companies have machines that scrape wood giving you a uniform look. Our company hands scrape the wood to give you a more authentic custom look. Whether you are looking for a Cork floor, Bamboo, Brazilian Cherry, Walnut, to Tiger Mahogany we are the professionals who will get the job done right. Our qualified craftsmen are professionals at restoring antiqued wooden floors to installing the latest contemporary flooring. No matter what your needs are in floor coverings we offer a variety of services from installing new hardwood floors, restoring floors, to floor remodeling, we are the floor covering experts. Add beauty and elegance to your home or office with a professionally installed hardwood floor. Global Hardwood Floors has been in business bringing quality flooring and a variety of services to customers since 1998. Fully licensed, abonded and insured, We are a professional company specializing in all aspects of floor coverings from hardwood floors to custom floor designs. Our prices are affordable to give your home or office outstanding long lasting beauty and value. By having a hardwood floor installed in your home or office will certainly add quite elegance and beauty that will certainly out last any other commercial floor covering. Our installers are professional craftsmen that take the time necessary to do the job right and with attention to detail. Global Hardwood Floors are dedicated to giving you the very best in Hardwood floor coverings. Our friendly sales team will happily answer any questions you may have regarding floor coverings. 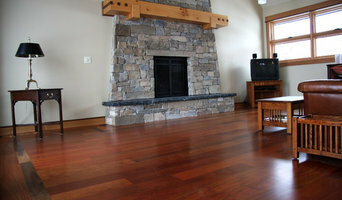 Call us today and find the beauty of what a hardwood floor can do for your home or office. *Authorized Mohawk Dealer* We are an excellent source for all your flooring and home decor needs. As a Mohawk Floorscapes Dealer, we can offer our clients excellent warranties and service. Customer satisfaction is number one; pure and simple. We’ll provide you with the individual, personal service you deserve and help you make an appropriate, well informed selection. That means we will ensure that your selection will meet your needs: lifestyle, budget, and time frame. We strive for a 100% customer satisfaction level…and if you are not completely satisfied with our work, we will return to your home, at no charge, to make it right. We have quality products for every budget. Our products are specifically selected for being of high quality, lasting durability and recognizable value. We will not carry an inferior product or product line just because it’s cheap (cheaply made) and sells well in other retail stores. Our commitment to you is that YOU are the number one priority in our eyes. From the moment you walk through the door, you will feel comfortable, relaxed and welcome in our store. Upon the choosing of your flooring needs, we will remain in constant communication with you to update you on the order process, the delivery process and the installation time frame. There should never be a moment where you are wondering where the process and project are at. Upon the receipt of your order, we will schedule Professional Installers to be at your home at the time of your choosing. They are the top of the line installers who guarantee a great job every time! When dealing with an investment of this magnitude, you deserve to have the job done correctly and properly the first time, we promise you will see the advantage instantly! Welcome to Mountain Lodge Furnishings! We are nestled in Heber Valley and have been serving the Heber, Park City, and the Wasatch Back areas for 25 years! 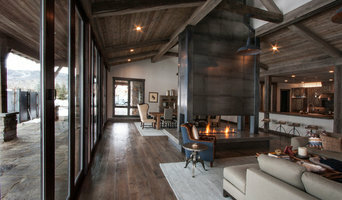 Our expertise in creating rustic living and mountain cabin decor is unmatched. Specializing in rustic furniture, reclaimed barnwood, and log creations, but also a design center where one-of-a-kind pieces are created with the help of our expert Interior Design team. We also feature a full sleep center. We have an extensive flooring center with barnwood flooring to exotic Expresso Bamboo flooring, along with all realms of carpets, tile, and natural stone. Our Interior Design team can help furnish your entire home from furniture, mattresses, flooring, and window coverings. You won't believe what's inside! *Authorized Dealer of Shaw Floors* Kay Riley started his business more than sixty years ago with one goal in mind... He wanted to establish a local business based on honesty, outstanding service and the highest quality installations. These very simple, but necessary guidelines have allowed Kay Riley & Sons to flourish over the years. These qualities have remained at the forefront of Kay Riley & Sons and will continue to be our recipe for success. Factory Flooring Direct is a veteran owned and operated business. In 2004, Richard Ure, a resident of Erda, put his over thirty years of floor covering experience and expertise to work by starting Factory Flooring Direct. The first days of the business were spent selling carpeting and other products out of a construction trailer in the parking lot where he was also managing the construction of the new business’ home. In June of 2005, the building was completed and the business moved into its beautiful new home. The exterior and showroom were finished with each customer’s experience in mind. We wanted the showroom to be especially inspiring. In 2014 the showroom went through a facelift to update colors and styles to new tastes and to be on the leading edge of design. Richard has been present and completely involved in all the details of the business, from start to finish, especially where it involves the customer experience. Our goal has always been to make the floor buying experience exciting. We want you to be invigorated every time you walk into your home. We keep on the cutting edge of style and design so we can help you enrich your home’s ambience. Every part of our business is organized in an effort to help you get the most for your money. We buy intelligently so we can offer you the best discounts on quality products. Richard’s passion has always been giving each customer a great deal. Jason Estes, an experienced carpet installer in Utah, formed Jason's Installations & Carpet Repair, Inc. in 2015 with the goal of providing quality craftsmanship and exceptional customer service. Jason has always been creative and talented with natural artistic abilities. As a carpet installer, he polished his craft by applying his creativity and inherent talents to the skills of his trade. For Jason, every job is a work of art, and every customer is treated like family. Utah’s most trusted, full-service flooring company for over 40 years. 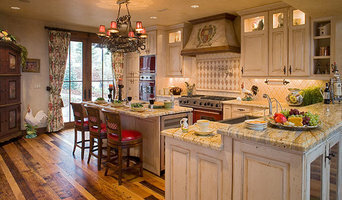 Ogden's Flooring and Design also offers granite countertops at the most competitive prices in Utah. We have the best selection of carpet, hardwood, laminate, luxury vinyl tile, & more from top brands such as Mohawk, Mannington, Dreamweaver - just to name a few. Our Lifetime Labor Warranty can't be beat and gives you worry-free installation on your carpet. Let us help you make your dream home become a reality. Hello friends. My name is Selu Alofipo, but most people know me as simply "Lu". Those that know me by my given name, know that I am an award-winning mixed media artist and have spent the last 8 years traversing the country sharing my gift with those who appreciate art. You can learn more about "Selu the artist" on my artist website seluart.com As an artist, epoxy resin has been a staple in my processes and techniques and has helped me win several awards throughout the nation over the years. I am now having a ton of fun creating unique designs on a different platform. Our team is comprised of me, my lovely wife Tofu, my children and great human beings whom I consider family as well. Together, we can make your imagination a reality! Attention to detail and creativity are my hallmarks. I specialize in small basement applications, bathrooms, kitchens dining areas, garages, small retail spaces, and much more. The possibilities are limitless.